Data vs Information | Insight Article – Words & Numbers Ltd. 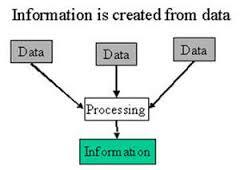 There has to be some significance to the data in order for it to be Information. At Words & Numbers Ltd. strive to collect the best data in order to produce useful and precise information to cater to your target population. Knowing the sound difference and connection between data and information makes all the difference in the end results that we are here to help you achieve for your organization. Next A Traditional Affair 2017!